ethiopia is facing a relentless development and the urban population of addis ababa, in particular, is growing faster than the city can take in. this results in a huge deficit of housing accommodation for people. 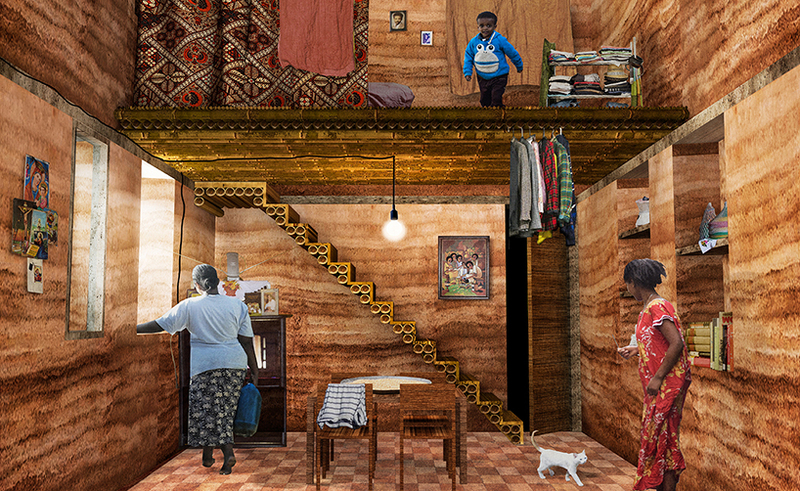 in the last decade, the ethiopian government has tried to tackle the housing shortage by promoting a full-scale project — the condominium blocks. while facing the matter of density and providing a fast construction process, the new governmental housing project cannot be considered the best approach for affordable housing in addis ababa. 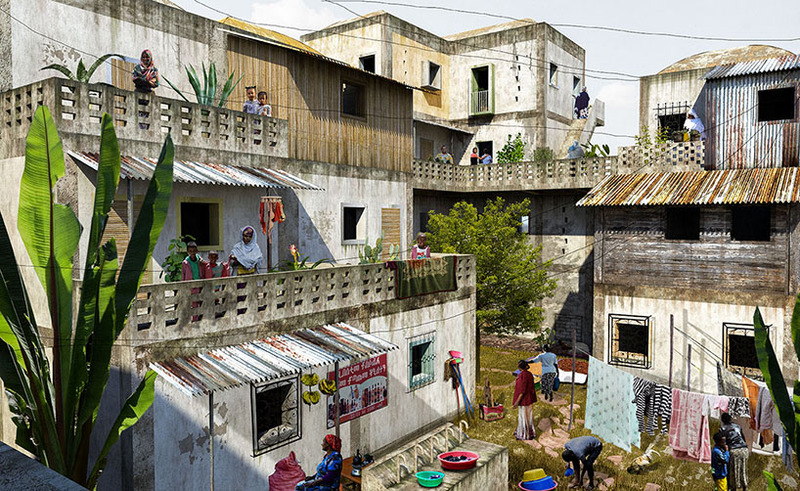 three main problems can be highlighted — high production cost, caused by the import of foreign technologies and materials; building configuration that does not match with the social and cultural context of ethiopia’s urban poor, and, finally, lack of flexibility in the apartment units that cannot extend according to people needs. 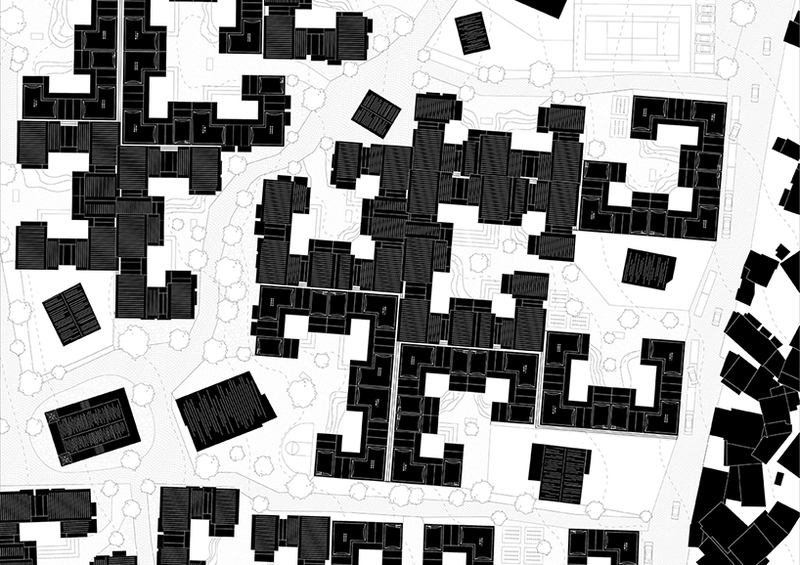 TU delft‘s italian graduate students arianna fornasiero and paolo turconi‘s master thesis ‘rhizome‘ proposes an alternative to the model of condominium blocks. their design is rooted within the site, technically feasible, economically competitive and flexible in construction time and materials. 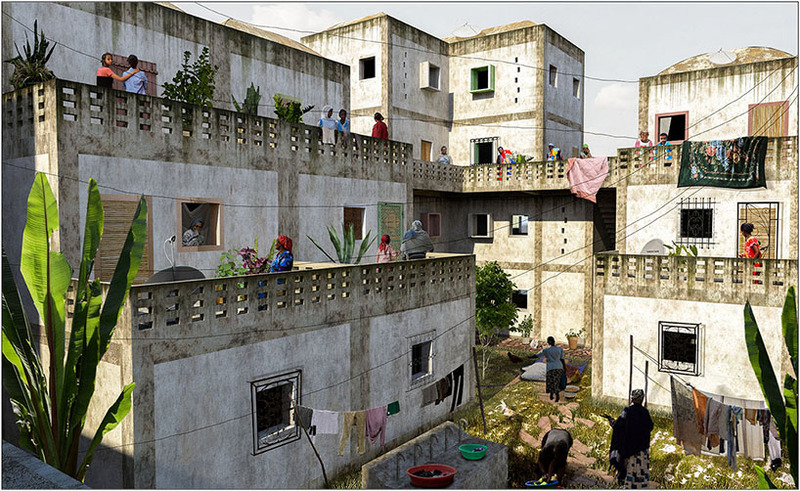 ‘rhizome’ started from the investigation of the social and spatial patterns of the lower income areas in addis ababa and, in particular, in the menen neighborhood. 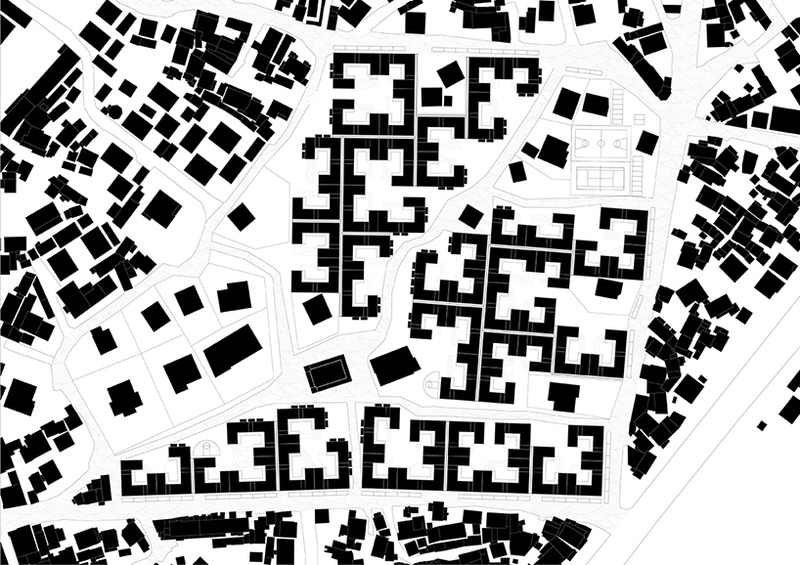 this brought about clear research questions — how can the different socio-spatial layers that characterize the fabric of the menen neighborhood, be reinterpreted into a low-rise project able to reach the same density of the condominium blocks? how can the project be feasible and promote itself as flexible standardized system? 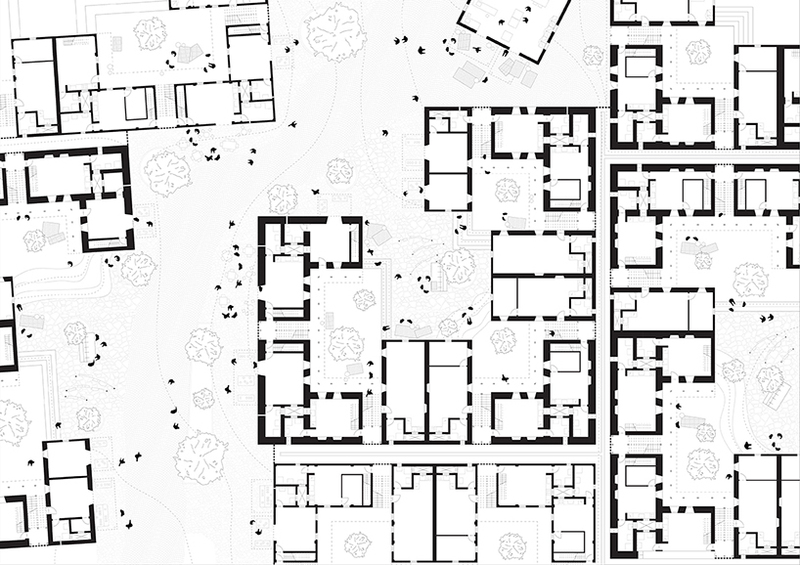 the backbone of arianna fornasiero and paolo turconi’s master thesis is the idea of the residential compound, a physical and social structure composed by three elements — two incremental housing blocks and the circulation system. these are clustered together and can be rotated, mirrored and attached to each other creating a series of spaces that compose a hierarchical sequence of community spaces. 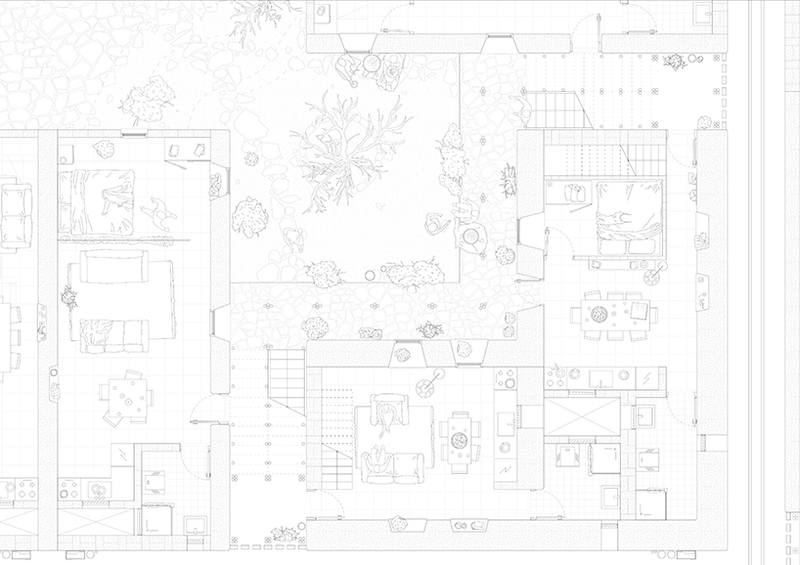 this enacts a holistic strategy that bridges multiple scales, from the main urban streets, to the intimacy of the compound and, eventually, to the most private space of the dwelling. in ‘rhizome’, every cluster is independent, allowing the entire project to be built in phases and to develop through time organically integrated in the surrounding physical structures. 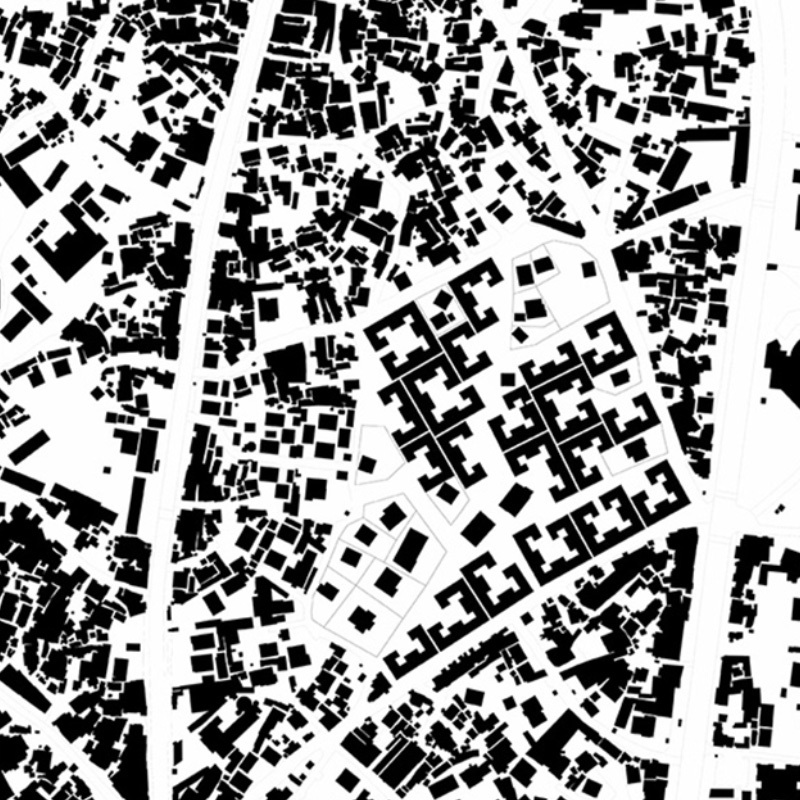 with this strategy, the proposal avoids disruptive spatial and social breaks between old and new structures and communities. 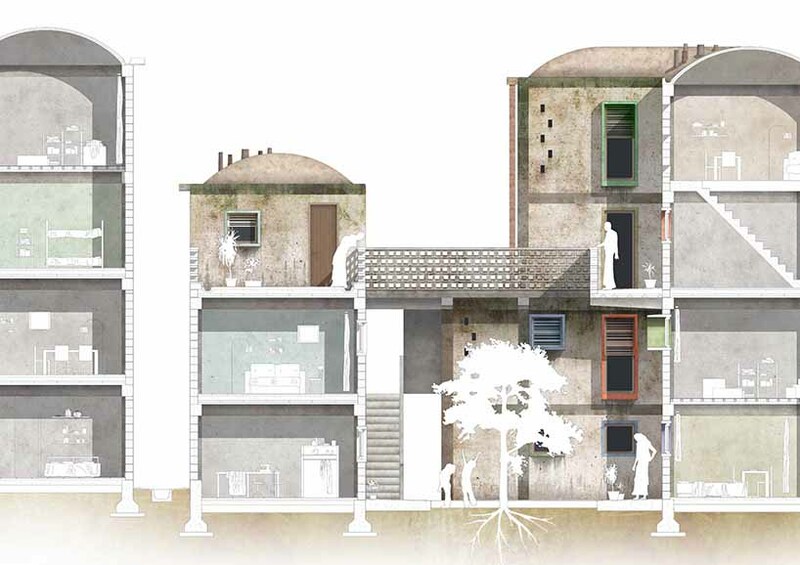 furthermore, arianna fornasiero and paolo turconi’s proposal can be built using two different construction methods that offer more affordable solutions than those currently used in the governmental housing program. ‘rhizome’ could be standardized and rapidly built using a concrete structure. 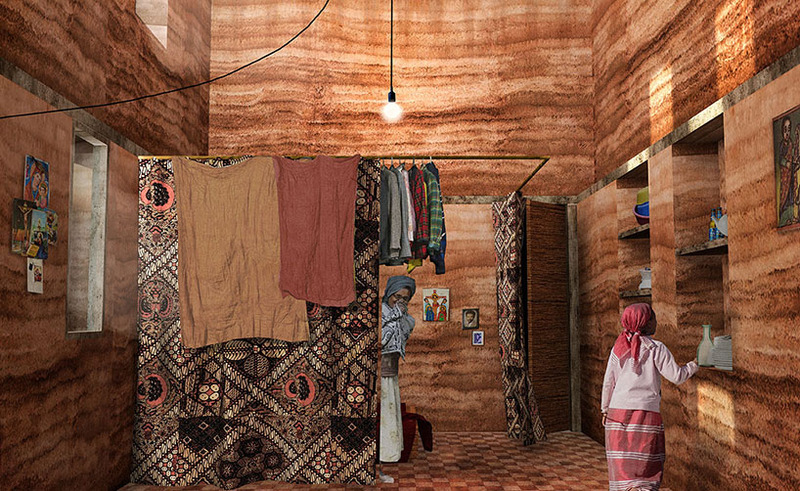 alternatively, it can be built using a rammed earth building system. 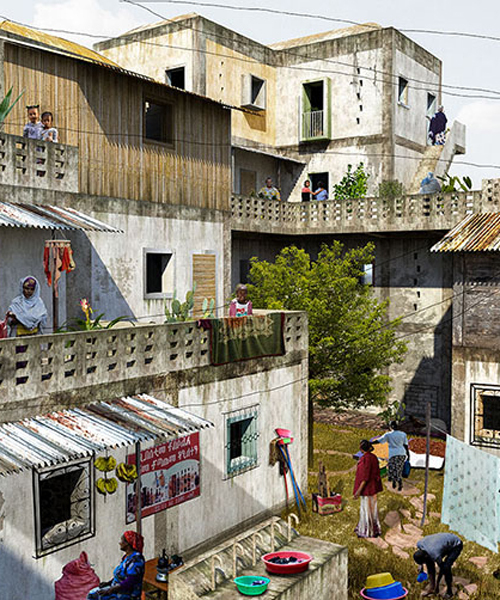 the former requires material importation, technological structure and specialized skills while the latter is more affordable and sustainable, using material and techniques that can be found in-situ and can involve the community in the building process. 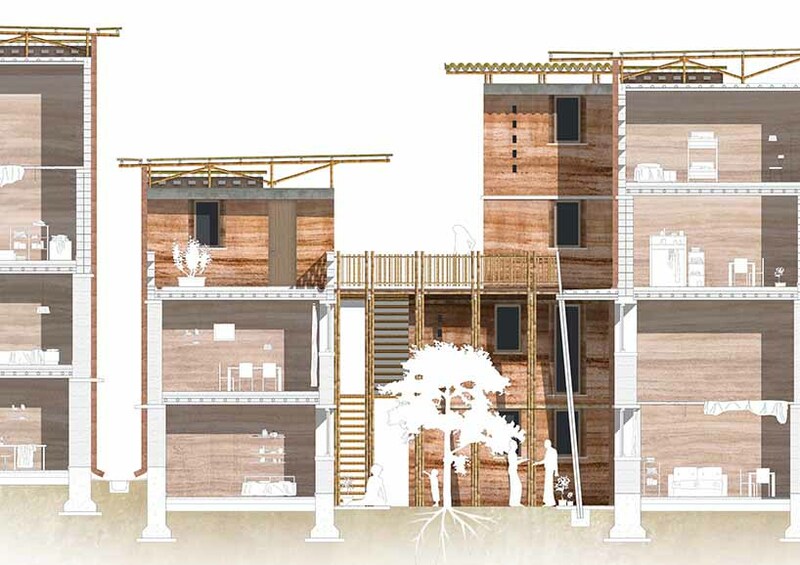 the design approach developed in arianna fornasiero and paolo turconi’s master thesis makes it a feasible and competitive alternative approach to the condominium blocks in matters such as cost, time, labor and skills. in botany, rhizome is associated to the growth of the plants’ underground roots. 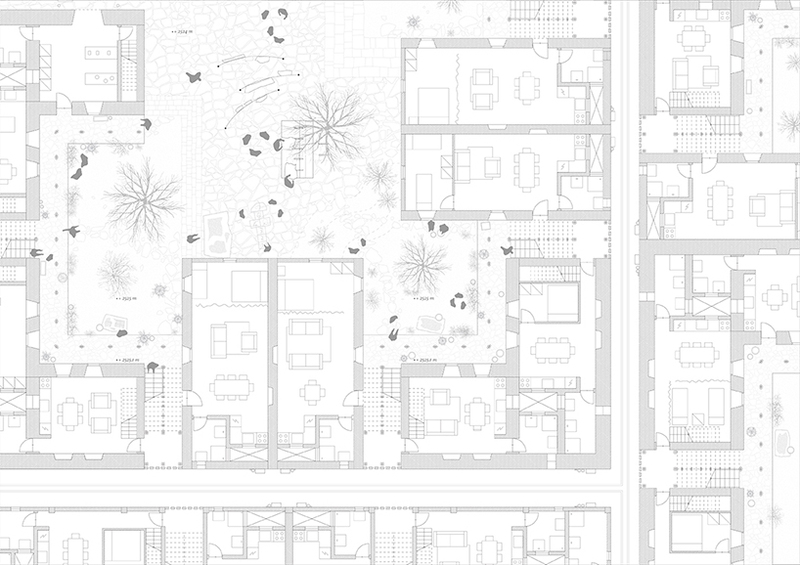 likewise, the italian graduates’ proposal stands for a continuously growth of an interconnected sequence of spaces that stems from a unique simple element — the residential compound.